SiningSaysay tells the story of the Filipino nation through twenty-nine magnificent, large-scale paintings, each measuring twelve feet wide and six feet high. The paintings were created by a select group of twenty-seven esteemed UP alumni artists who captured in their creative minds the various significant eras in Philippine history and committed in visual forms the events and protagonists of these periods to narrate to us through pictures our story as a people. 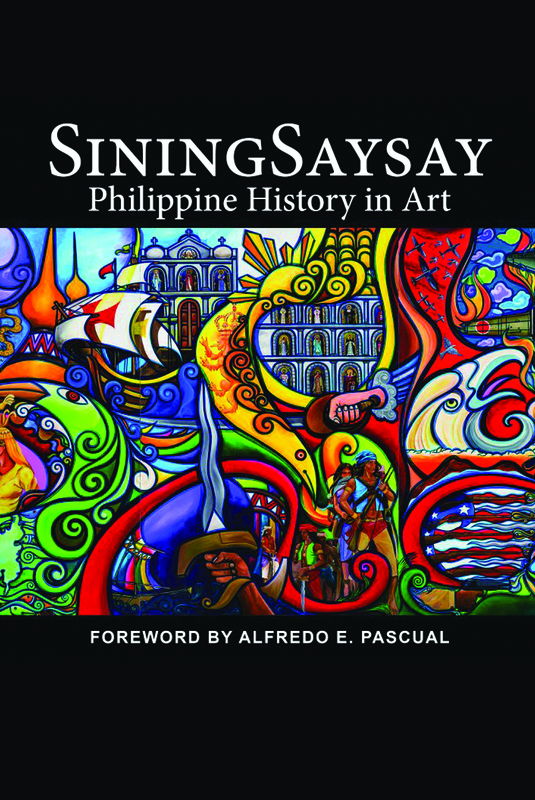 This book provides a broader context to the SiningSaySay exhibit. It gives a backgrounder on history art, explains and presents a complete set of images of the artworks to bring the experience of viewing the collection beyond the gallery. SiningSaySay is a collaborative project of the University of the Philippines (UP), the UP Alumni Association (UPAA), and the Araneta Center Inc. The management team of experts is composed of Dr. Grace Javier-Alfonso, chancellor of the UP Open University (UPOU), as project manager; Dr. Ma. Luisa T. Camagay from the College of Social Sciences and Philosophy as history consultant; Prof. Rubén D. F. Defeo from the College of Fine Arts as art history consultant and exhibition curator; and Romeo Carlos, UPAA executive director, as project coordinator. Agnes V. Mejia of UPOU served as administrative officer.